Small bathroom remodel ideas will be useful to the homeowners who would like to transform a dated and ugly bathroom into a modern, elegant and stylish place. 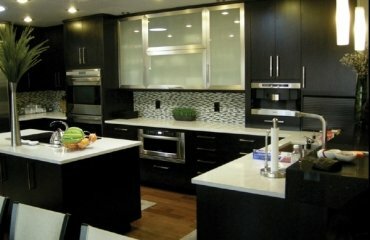 A makeover can make a dramatic difference and we will give you some inspiring ideas and tips for creative design techniques which you can use for your home. 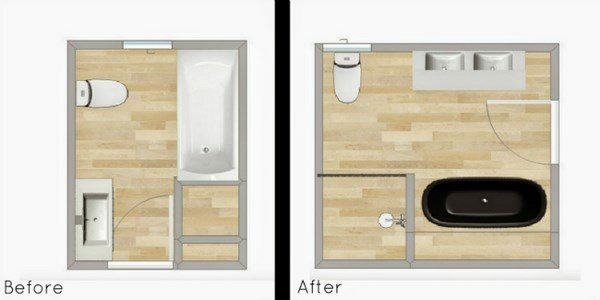 Small bathroom remodel ideas – where to begin? 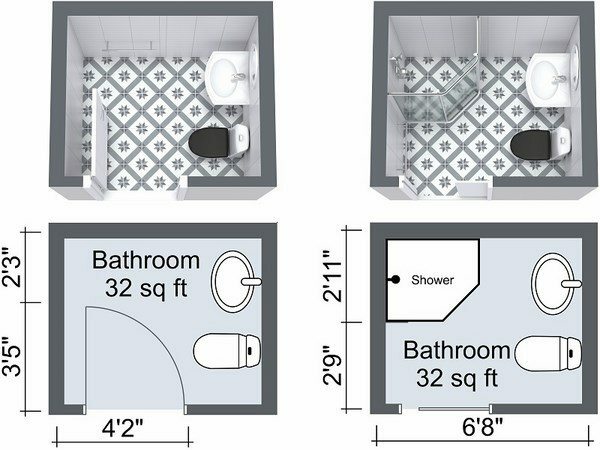 First of all, before thinking over the general concept of design, you need to determine for yourself whether you want a a bathtub, or a shower cabin, how much storage space you need, which means you need to plan the layout. Small bathroom remodel ideas will help you deciding some of the major problems and create a beautiful, bright, light and functional bathroom. Think of style and colors. When choosing colors, it’s worth spending time and find out some information which colors are more favorable. Of course, you need to make sure that the colors that you like are suitable for the style that you like. For example, bright yellow and orange are not the typical colors for industrial decors. 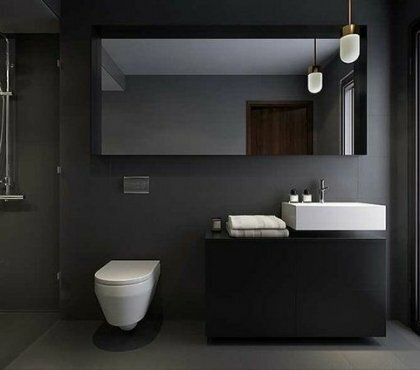 Keep in mind that when you remodel a small bathroom it is better to avoid dark colors as they significantly affect the visual perception of the size of the room and make it appear smaller. 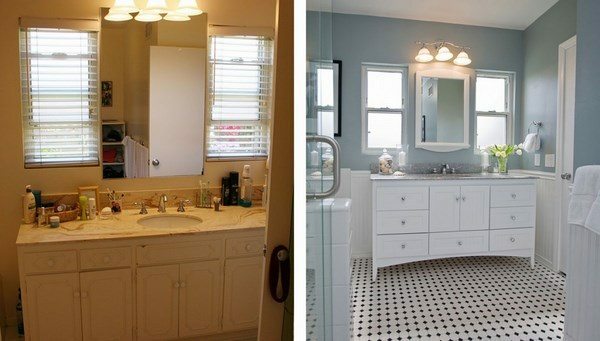 The optimal solution for a small bathroom is light colors. 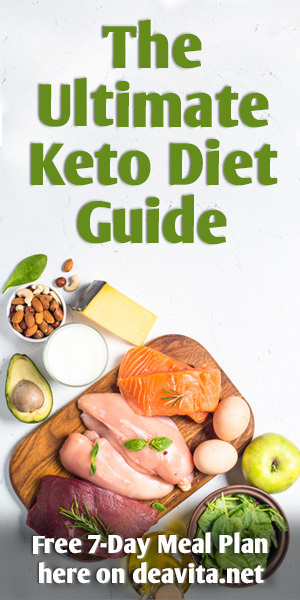 However, the palette is not limited to white, you can opt for calm neutral colors, soft shades, pastel colors, or combine shades that complement each other. Remember that using multiple colors is not beneficial to small spaces. The best option is to combine no more than three colors or one color in three different shades – light, mid-tone and dark. The right choice of finishing materials for the walls, floor and ceiling can expand the space visually and make it cozy and interesting. 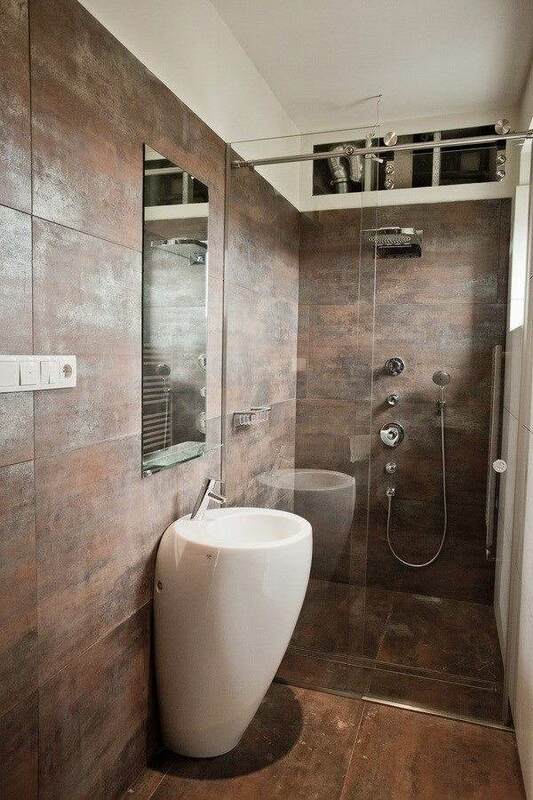 From practical point of view, ceramic tiles are always a good choice for the walls. 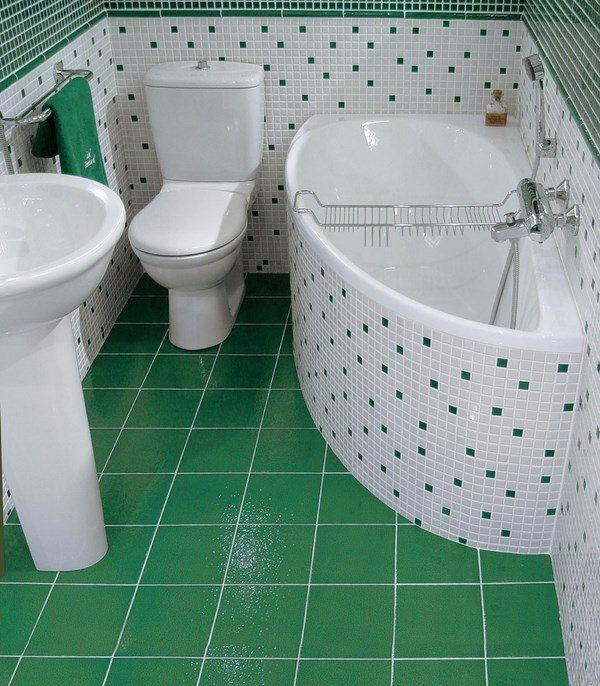 Be careful with the size of the tiles as large tiles tend to reduce the space visually. Glossy glazed ceramic tiles have a good visual effect and expand the space due to the smooth, reflective surface. Lighter colors add volume as well – beige, blue, lilac, cream are a good choice. Pastel shades are also a good option as they fill the room with comfort. Fans of contrast combinations have to be very careful not to get carried away. If you prefer to break up a monotonous look, think about using contrast colors on opposite walls. 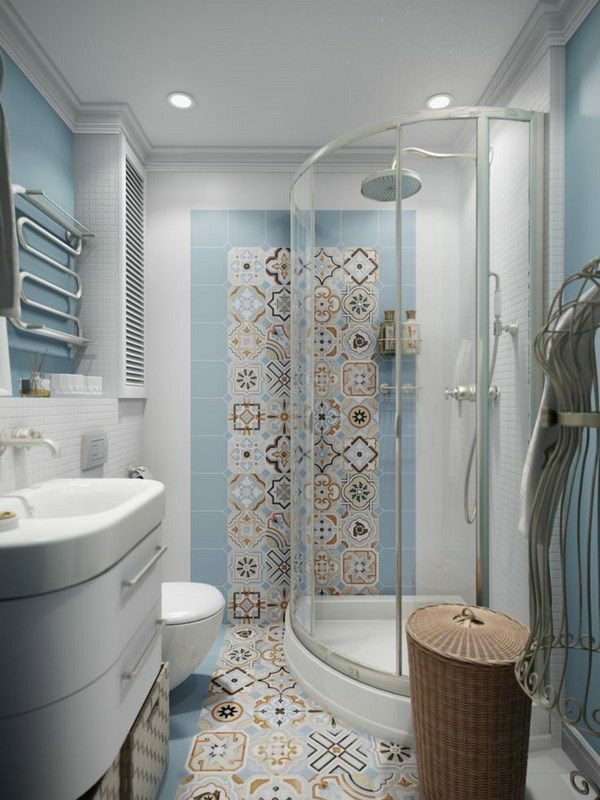 Mosaic tiles work very well in limited space. 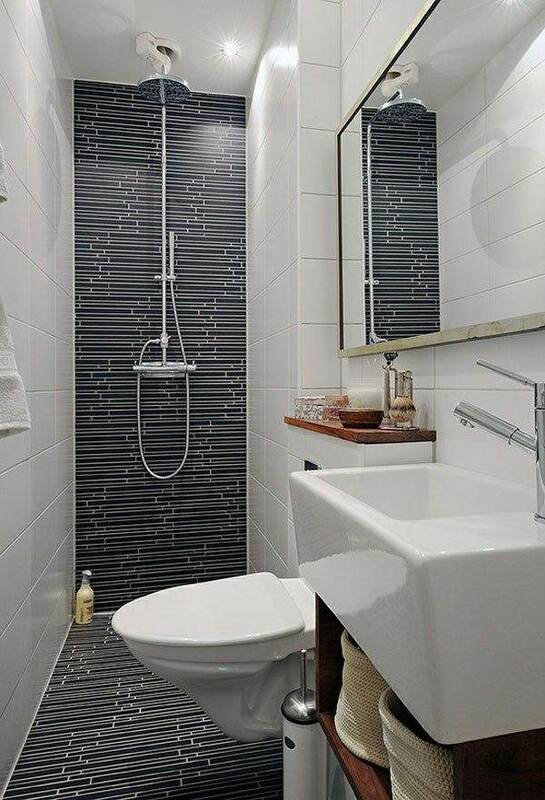 With the help of mosaic tiles, it is possible to distinguish the functional areas near the toilet, sink, bath, shower, mirror, etc. Again, this does not mean that you have to use several colors for each zone. 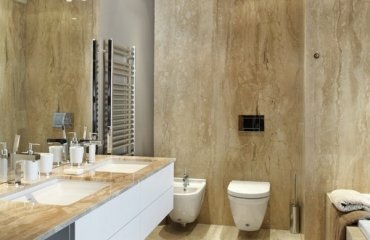 One of the design techniques which works great in small bathrooms is to create an accent wall. The best decision is to use the back wall and you can add color to the entire wall or a band of color. 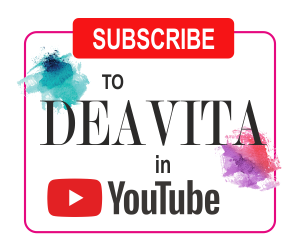 In this way you will add depth and visual interest. Flooring – A good idea for the floor is to opt for continual flooring. This works especially well in long and narrow bathrooms and with concrete, stone slab and tile floors and gives the space an open feel and look. 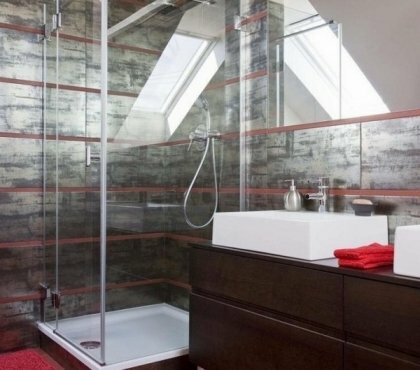 A curbless shower will add significantly to the open feel and the visual appeal of a small area. Ceiling – keep it light (and white). Avoid suspended ceilings, faux ceiling or other ceiling designs which take up from the height. 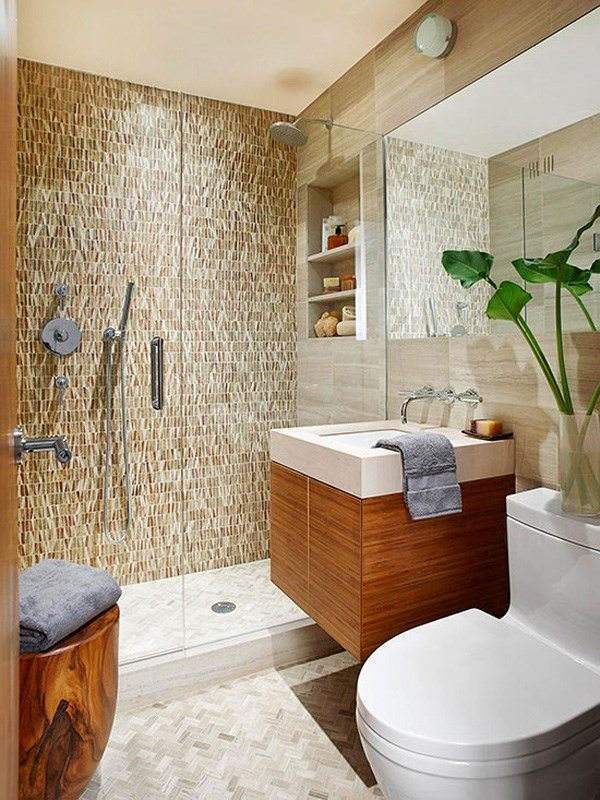 You need to make the best of full height as it adds to the volume of the bathroom. Lighting is essential in small areas. It is best if you have a source of natural light, of course. When you have to count on artificial lighting, make sure htat you choose lighting fixtures that provide bright, but not blinding light. You can use spot lights, recessed lights, fluorescent energy-saving lamps, incandescent lamps, halogen lamps, LED lighting, but the main goal is to they (one type or mixed type of lighting) will give you sufficient illumination. 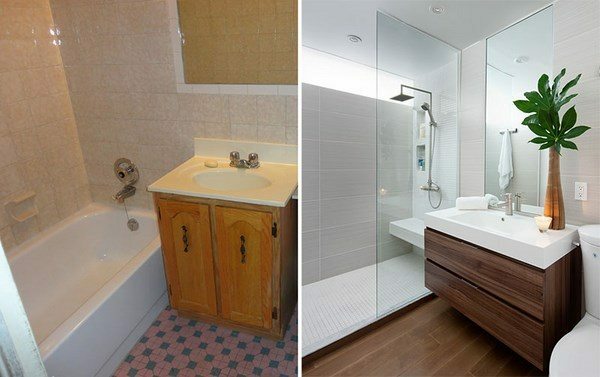 Using light to divide functional areas can dramatically change the look of a small bathroom. Most often, it is the mirror zone that is given special attention, as women need enough light to apply makeup in the morning or in the evening before a party. One thing that is often overlooked is the door opening. An in-swinging entry door takes a lot of valuable space. It will be a good idea to consider a pocket door, or a barn door, for example, as you will have more space and flexibility to plan the layout of the bathroom. You may even be able to fit in a bathtub! 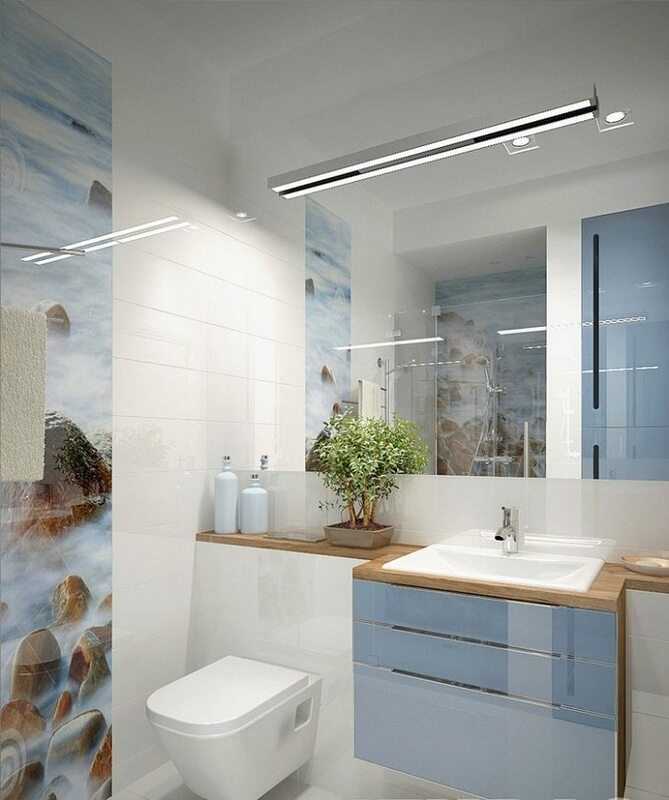 Mirrors are one of the most important accessories in small bathrooms. When you plan the makeover, make sure you consider a large mirror. It reflects light and doubles the size of the bathroom. 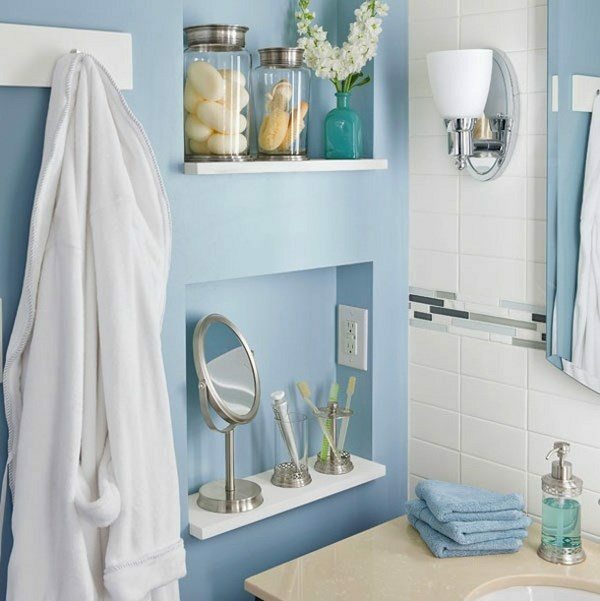 Wall mirrors are your best assistant when planning how to remodel a small bathroom. Pay attention to fabrics. If possible, avoid bathtub shower and shower curtains. Choose your towels in the color palette of the bathroom and try to avoid multi-colored towels as they make a small bathroom look cluttered. The variety of small bathroom remodel ideas and the examples that we selected will show you that it is not impossible to have a bathtub in a small bathroom. Yes, it does take up twice the space of a shower, but to many people, relaxing in the tub after a hard day is the best way to relieve the stress. 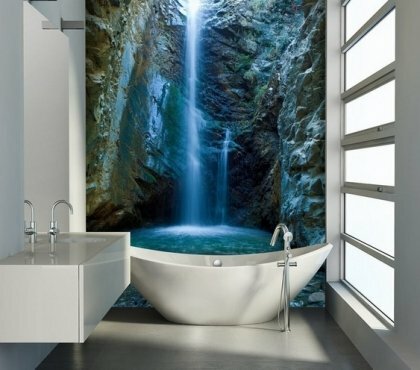 A corner bathtub could be a good solution. 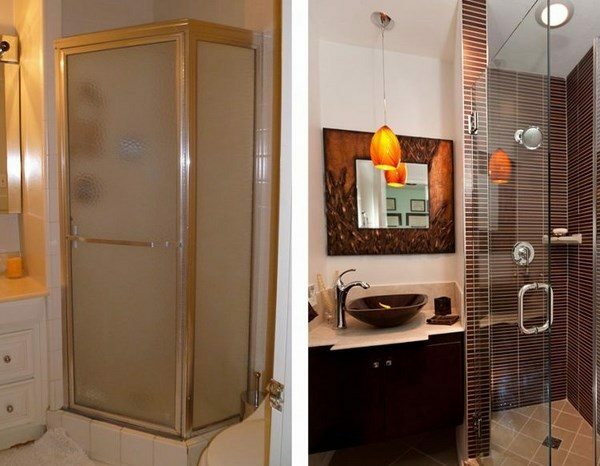 However, a shower with a glass partition, a curbless shower with linear shower drain, or a doorless shower will be a good idea as they do not occupy space and separate it visually. 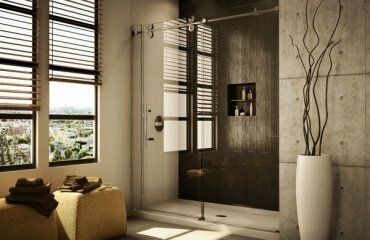 Besides the personal preferences, one of the main factors that will determine whether to opt for a shower or a bathtub when you remodel your bathroom is the budget, so you need to see the cost of the two options, as well as the cost for installation and decide as per your individual needs and finance. Choosing the furniture for a bathroom, especially when you remodel one, gives you the opportunity to correct mistakes of the past times. Make sure you choose high quality materials that are moisture resistant. Natural wood is a practical and beautiful material but you have to check it has been treated to resist moisture and high humidity levels. 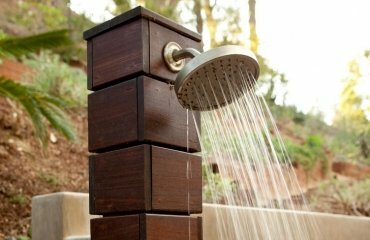 There are some wood species, like teak, ipe, iroko, that are naturally resistant to rot. 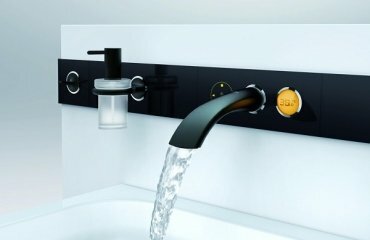 Modern manufacturers offer great options from different materials and you will certainly find something to meet your criteria for visual appeal and functionality. When you remodel a bathroom and you have to fit a toilet, a vanity cabinet, a bathtub, shower, etc. you may find out that the floor space is not enough and there is a real danger that the interior will look cluttered. 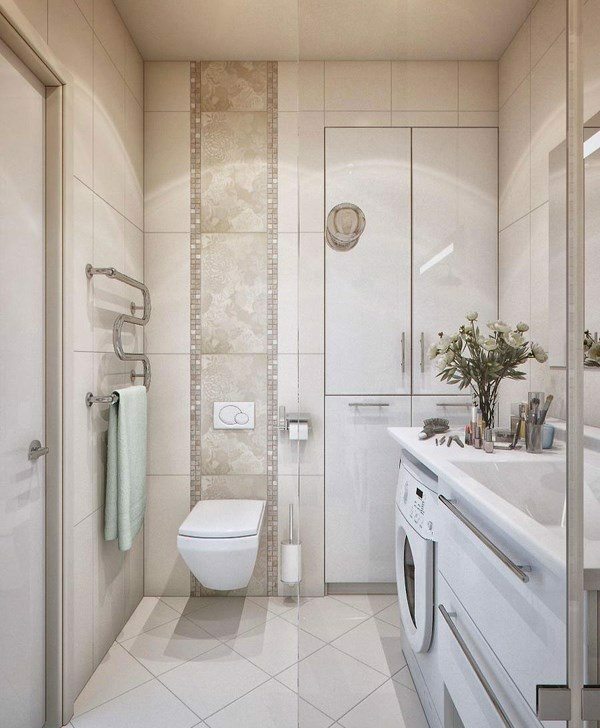 Consider floating vanity cabinets, wall mounted toilets, tankless toilet or a toilet bidet combo, pedestal sinks, wall mounted sinks, corner sinks – these designs significantly save space and give a sense of open space. 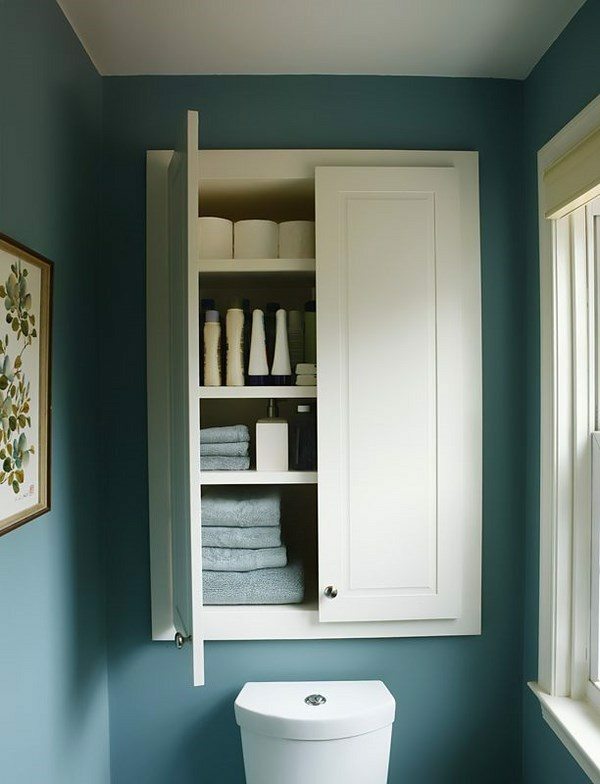 When you remodel your small bathroom you need to consider suitable storage to accommodate towels, make up, hair dryer, cosmetics, toilet paper and all the stuff that you need on a daily basis. 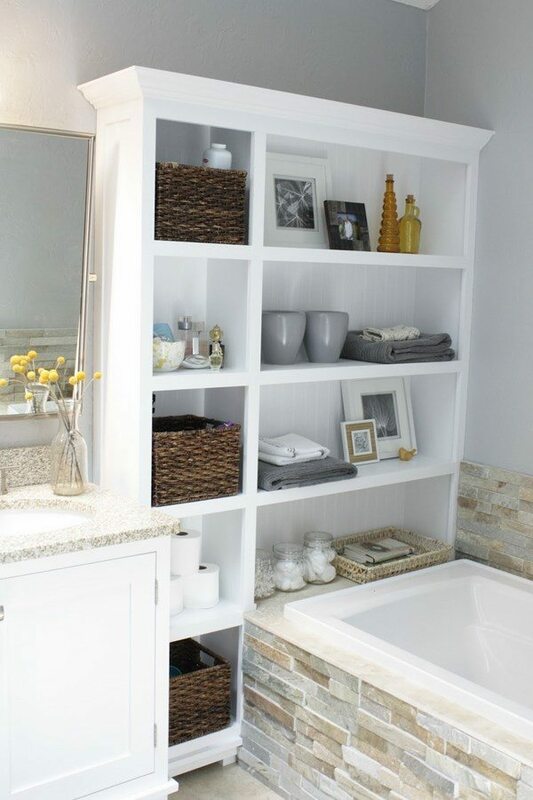 Niches are a great storage option so if you have them – use them. Shelves made of glass are another good idea and you will have storage space which will not block the view and decrease the space visually. The shelves can be an element of the decor as well, so it is worth considering this option. 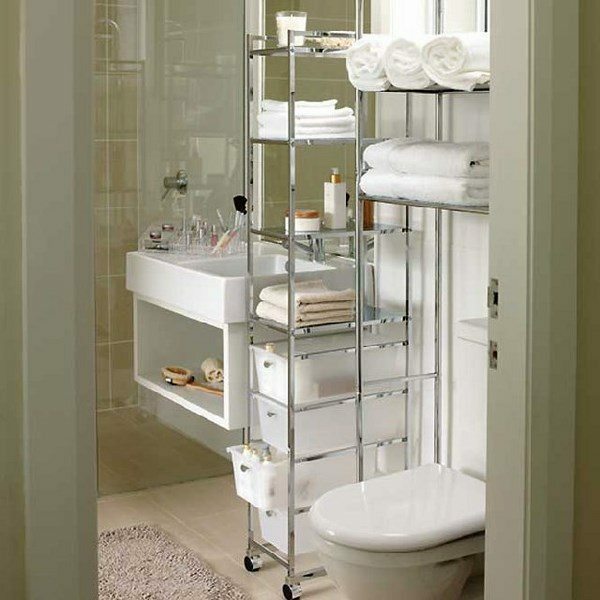 Built-in storage is another excellent idea which will help you keep a small bathroom organized, neat and tidy. Baskets, boxes and containers can be used for smaller items and arranged neatly on the shelves. Use the space above the door to install a shelf. Make use of every inch as space in limited areas is valuable. Accessories and decoration should be used only as accents. Remember the main rule of minimalism – Less is more! When you remodel a small bathroom, you have to choose just a few accents which enhance the decor theme – an exotic shell, a picture, a plant, etc. Avoid cluttering the space with unnecessary items. 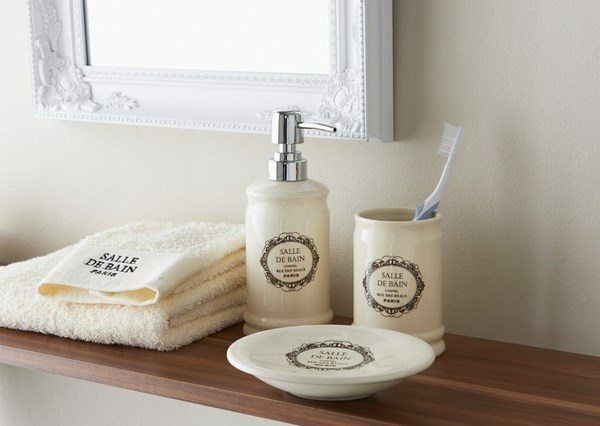 You can choose a beautiful bathroom accessory set which will be both functional and serve as a decoration.